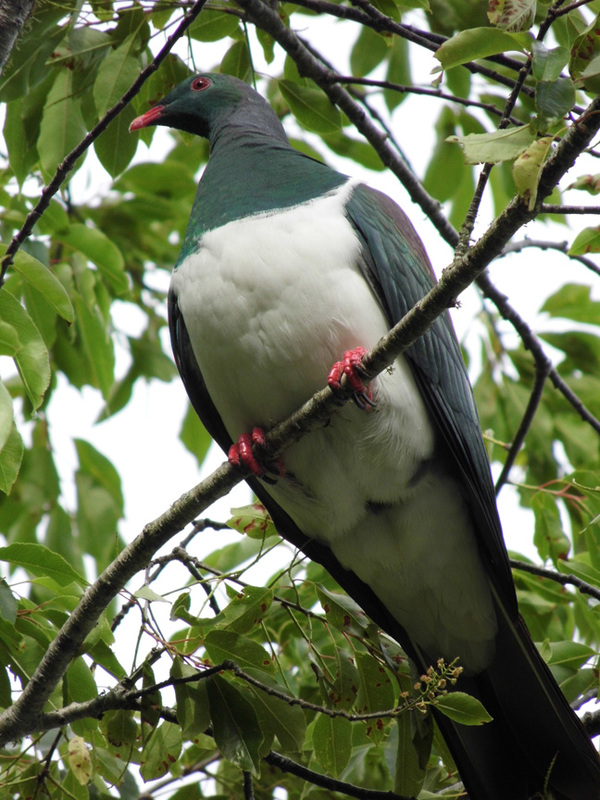 Kereru – New Zealand Wood Pigeon. They’re a handsome beasty, with red eyes, beak and feet, a white breast and the head, throat and wings are a shiny green-purple colour, with a bronze tinge to the feathers. They’re endemic to New Zealand and are unfortunately a threatened species, so it’s pretty fortunate to spot one so close to town. 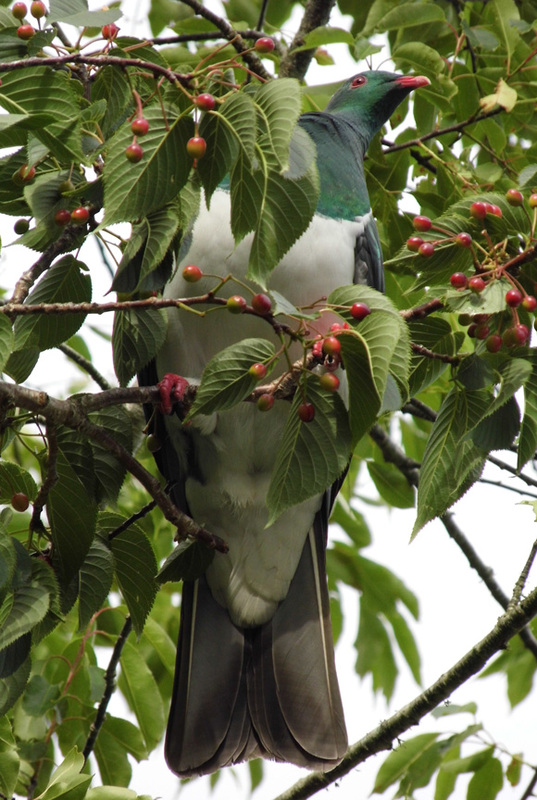 We have several berry-laden trees around us, and that’s a favourite thing of the Kereru. 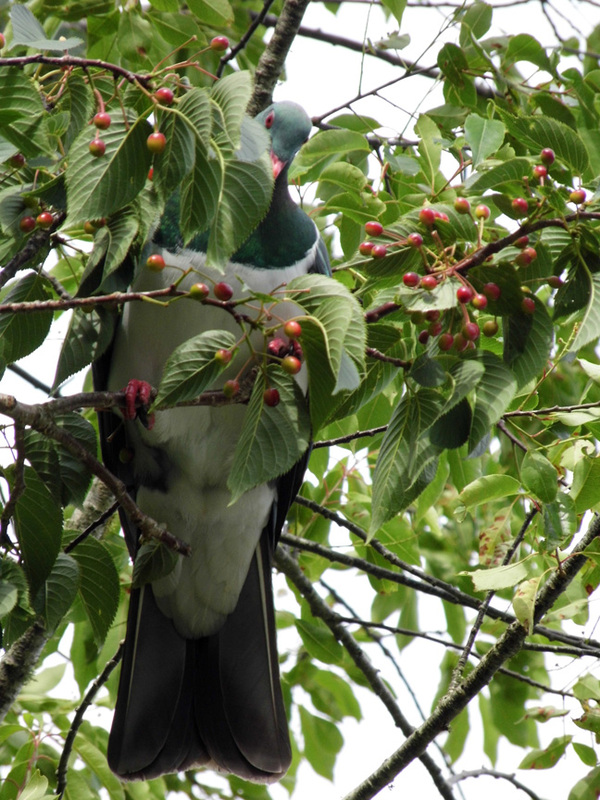 Sometimes the berries start fermenting and when the kereru eat them they get quite drunk. I saw one in the bush up a mountain once, crash-landing in a tree. 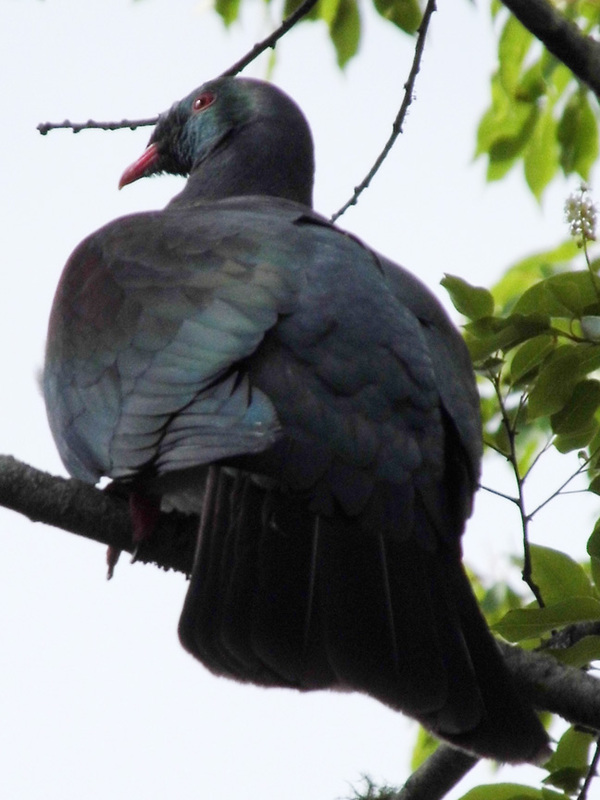 They’re quite big birds, around 51 centimetres (20 in) in length and 650 grams (23 oz) in weight, and a drunken kereru throwing himself at a tree with the hope of actually stopping on a perch rather than falling off the other side is quite a sight to behold. Yes, I’m talking about you. No drinking and driving! This entry was posted in Camera Rambles, Nature, Ravings on New Zealand (Middle Earth) and tagged berries, Camera rambles, drunk, Endemic, Kereru, New Zealand, Wood Pigeon. Bookmark the permalink. ← 8. Smudge – The Tree Bear Stunt Cat!